The bishops have expressed regret that, fifteen years on from the signing of the Good Friday Agreement, there are groups who continue to reject the path of dialogue as a means of addressing contentious issues. In a statement issued at the conclusion of their winter general meeting, the hierarchy described this situation as “disappointing and worrying”. “It is our hope that the Haass initiative will result in a new commitment to peace and reconciliation, founded on principles of social justice,” they said. As former US envoy to Northern Ireland, Dr Richard Haass, prepares to return for the final phase of his initiative on flags, parades and dealing with the past, the bishops said the principle of respect must be at the heart of any attempts to address the legacy of the conflict and to put forward proposals for a new, shared future. “This includes respect for identity, respect for shared space, respect for places of worship and, crucially, respect for human life,” they stated. “Those areas worst affected by the violence in the past remain the most deprived neighbourhoods in Northern Ireland today,” they noted and they appealed to political leaders to recognise the need to address the socio-economic inequalities that are a legacy of the conflict. They warned that these socio-economic inequalities are a significant threat to the sustainability of the Peace Process. Bishops Raymond Field, Auxiliary Bishop of Dublin and Philip Boyce of Raphoe chatting during a break in the winter meeting of the Irish Bishops Conference in Maynooth. Pic John Mc Elroy. The bishops said that society in Northern Ireland cannot be satisfied with a process that results in equal, but divided, communities. They underlined that these efforts need to be supported at all levels of society. “We recognise, in particular, the responsibility of churches and faith communities to play an active role in shaping a new future for our society,” they said. During their winter general meeting, the bishops were also provided with a progress report on a new service which will offer spiritual support for those whose faith in God and the Church has been affected by their experience of sexual abuse. Una Allen and Sr Mary Whyte are establishing the new service which will be called Towards Peace and will be launched in 2014. In 2009, the bishops published their response to the victims of abuse in the Catholic Church in their document Towards Healing and Renewal. Three priorities were outlined by the hierarchy, namely the establishment of the National Board for Safeguarding Children in the Catholic Church; the establishment of Towards Healing, a counselling service for victims and their families; and the setting up of Towards Peace, a spiritual support service for those whose faith has been damaged. The bishops were separately provided with an update on the work of Towards Healing and its delivery of a service plan for the next four years: 2014-2017. In 2014, Towards Healing plans to provide 31,600 counselling sessions, and this will rise to 37,100 sessions in 2017. Other services to be provided by Towards Healing include group work, practical workshops, restorative justice and advocacy. 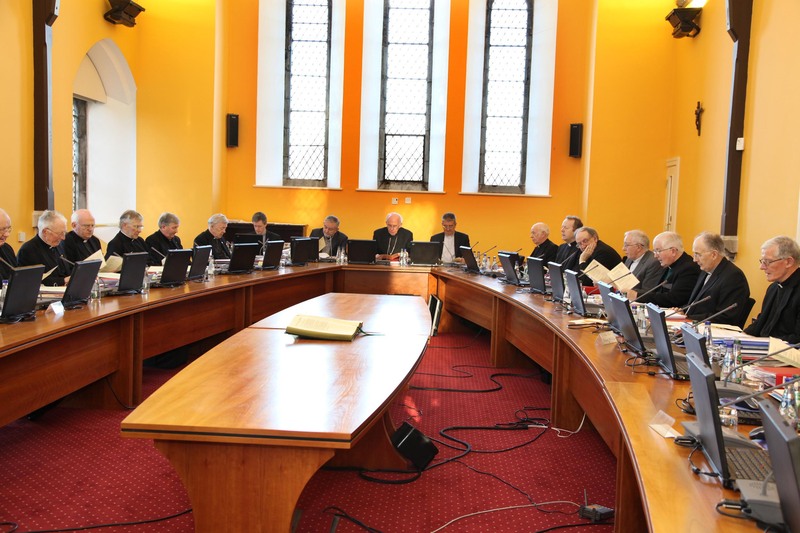 The total projected cost of the service over the next four years is €12m, and this is to be funded by the dioceses and religious congregations. 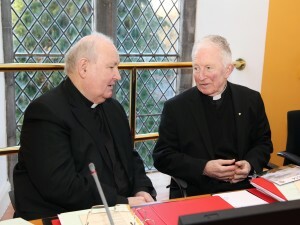 Towards Healing was established by the Bishops’ Conference and the Conference of Religious of Ireland and the Irish Missionary Union in 2011, to provide counselling and related support services, such as restorative justice and advocacy, to survivors of clerical, institutional and religious abuse. The Towards Healing free phone line numbers are 1800 303416 within the Republic of Ireland and 0800 0963315 if calling within Northern Ireland and the UK.